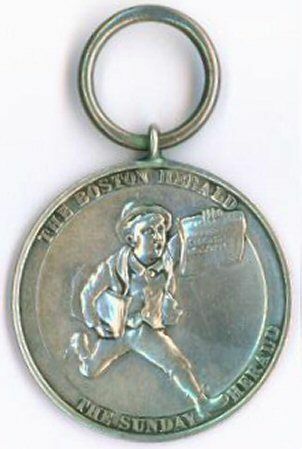 Plus ça change at the Boston Herald . . .
Back in the 1980s the hardreading staff carved out a spot for itself as a local advertising critic, possibly the smallest franchise in the universe. As such, we contributed to the splendid publication AdEast, which sadly seems lost to posterity. Anyway, last night we happened upon some old clips and what did we see but a piece from 1986 headlined The Great Comics Strip Wars, which detailed the Herald’s nabbing nine comic strips – all, not coincidentally, controlled at the time by the News America Syndicate, which was owned by Herald owner Rupert Murdoch – from the Boston Globe. Two passages stood out to us almost 30 years later. Under the ownership of Rupert Murdoch, the proverbial self-made man who worships his creator, the Herald has embodied tabloid journalism at its best. It serves as an excellent table of contents for the town’s “serious” newspaper, it has lots of pictures . . . and it doesn’t clutter up its pages with ads. Arguably, the greatest strength of the Herald is its uncanny knack of finding a hard-news angle in its own circulation gains and promotional activities. I’ll never forget the investigative vigor displayed by the Herald when the paper was running its first Wingo game. Stories began appearing about the the town and the townsfolk of Wingo, Kentucky (pop. 646 or thereabouts). As fine a group of people as they are, they were finer yet for all having received a free subscription to the Herald and their very own Wingo cards. See our Walt Whitman desk for updated details.
. . . plus c’est la même chose, oui? P.S. If any of you splendid readers want to see the whole AdEast piece, just say the word and we’ll ask the Missus to shoot it. This entry was posted on Thursday, May 8th, 2014 at 10:34 am and is filed under Uncategorized. You can follow any responses to this entry through the RSS 2.0 feed. You can leave a response, or trackback from your own site.